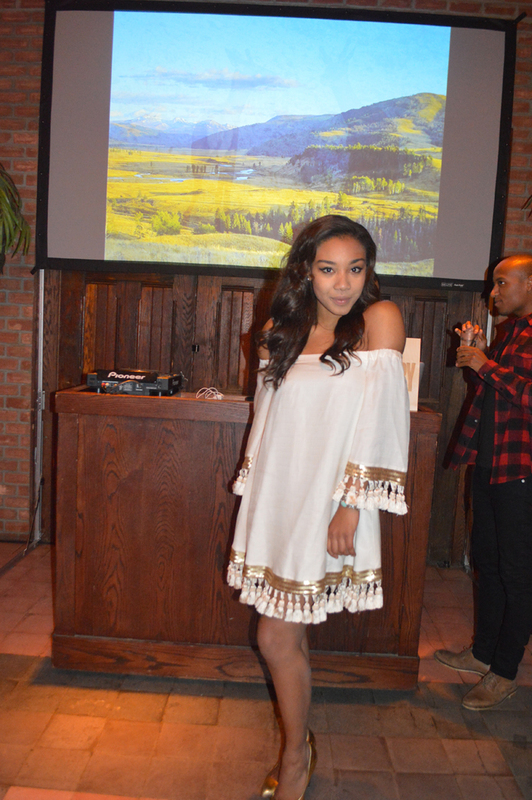 Young, beautiful and charitable was the scene at Yellowstone Park Foundation's 1st Annual Young Patrons Benefit at the Bowery Hotel rooftop. I was thrilled to have a chance to attend and cover every exciting moment of this highly anticipated charity event, which ended up raising a grand total of $42,957. I wore one of my favorite flower dresses from Teri Jon in the spirit of the evening’s nature conservancy theme. I loved everything about this dress, from its stunning jeweled neckline to its gorgeous painted flowers. Co-Chairs included: Arielle Patrick, Alice Ryan McCormack and Jackie Rooney. Host Committee: Martin Ambrose, Eric Bicknese, Liz Bourgeois, Ben Bronfman, Alexander Cook, Kipton Cronkite, Peter Davis, Nell Diamond, Savannah Engel, Alexandra Fairweather, Juliet Falchi, Isabela Garcez, Sarah Hansen, Lizzy Harris, Patricia Ruiz Healy, Chance Tileston Heath, Michael Jaconi, Fifi Knott, Sims Lansing, Scott Manniello, Lansing Moore, Chelsea Mouta, Magan Munson, Maude Navarre, Philip Piro, Stephen Powers, Steve Read, Hilary Stingley, Curtis Young, Spencer Zakarin. Sponsors: Punzoné Vodka, Anheuser-Busch InBev, Archer Roose, Wyoming Whiskey, American Juice Company and Luzzo's BK. The Yellowstone Park Foundation is the official fundraising partner of Yellowstone National Park, and is a nonprofit, 501(c)3 organization. In 1996, a group of concerned citizens, working with the National Park Service, started the Foundation in order to protect, preserve, and enhance Yellowstone National Park. The Yellowstone Park Foundation works to fund important projects and programs, many of which are beyond the financial capacity of the National Park Service. The Foundation receives no annual government funding; it relies instead upon the generous support of private citizens, foundations, and corporations to ensure that Yellowstone's great gifts to the world will never diminish.Since its inception, the Yellowstone Park Foundation has raised more than $85 million for Yellowstone National Park, and has successfully funded more than 300 Park projects. 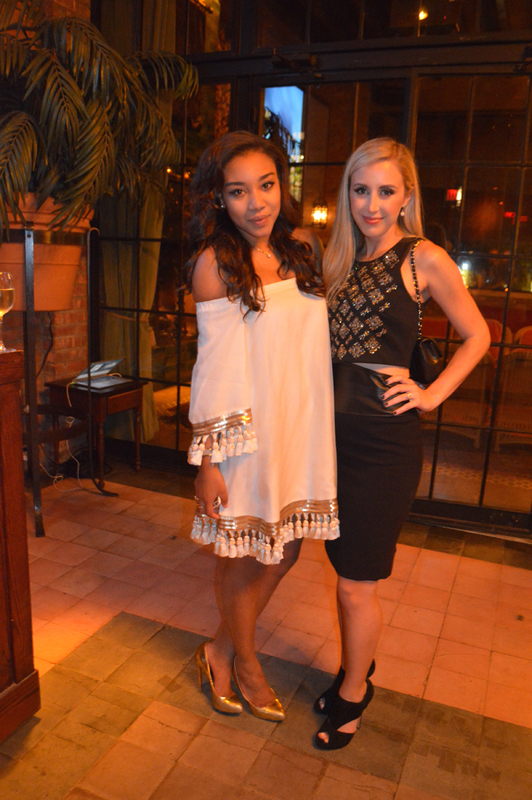 I was so excited to see my friend Arielle Patrick, a Co-Chair of the evening’s picture perfect benefit. 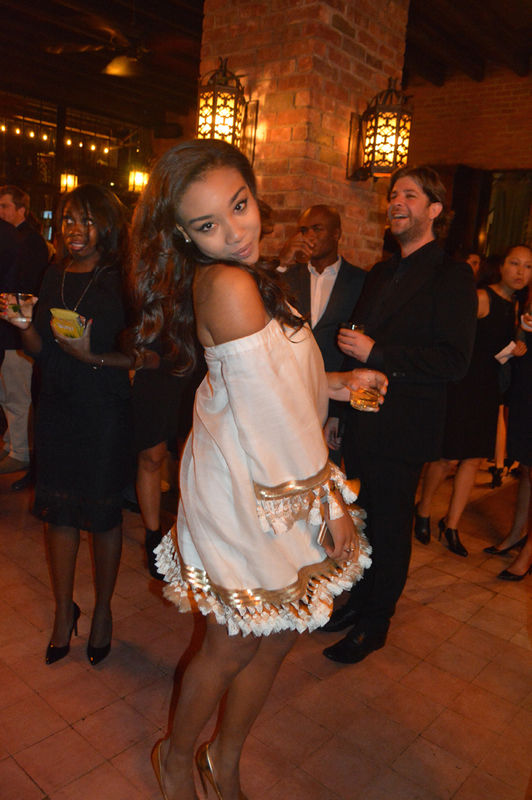 Arielle looked absolutely stunning in her MESTIZA dress. 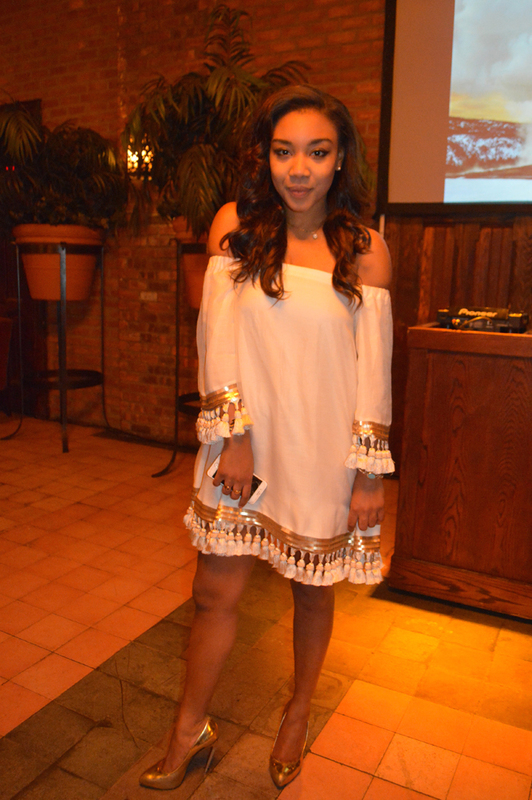 This gorgeous mod inspired number was adorned with gold fringe and tassels on the hemline and sleeves. My friend Gene came along as my photographer for the evening. I’m always so meticulous about photos and capturing every single moment of an event so I was quite thrilled that he could make it to assist! The evening included an exciting silent auction with everything from luxurious handbags, Mac Cosmetics, Mclaughlin gift card and much more. Intrigued guests lined up to bid on their favorite items. Luzzos BK served yummy pizza all the way from Brooklyn. The foodie in me was quite thrilled to have pizza after such a long day of meetings and events. I took a moment to explore the stunning ambience of the Bowery hotel. Luxurious vintage fabrics and opulent furnishings filled the room. Of course, one of my favorite things was the fireplace. 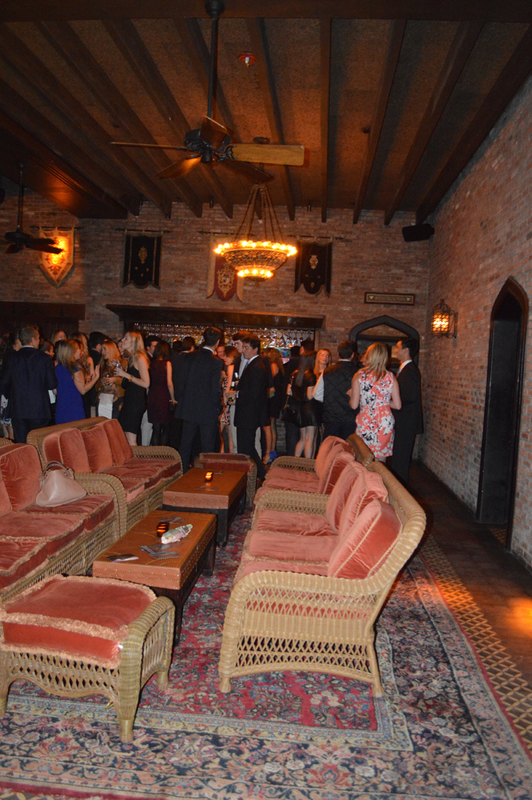 There is something so incredibly romantic about a fireplace, and especially the one at the Bowery. 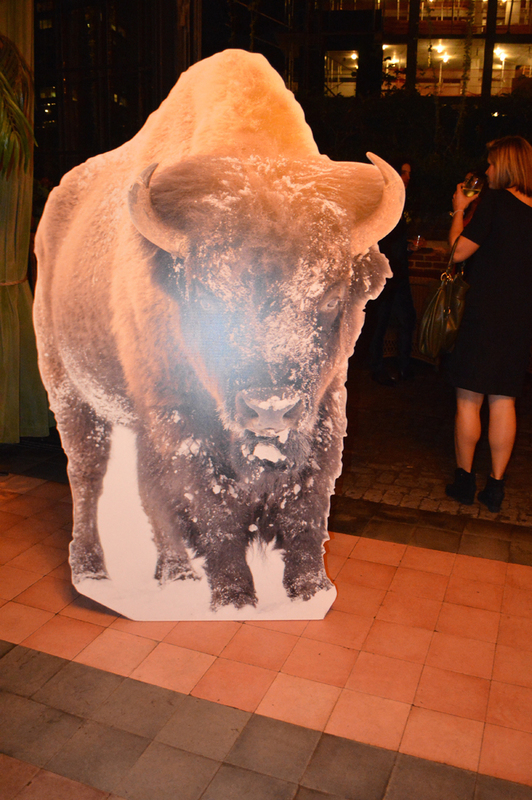 Walking further into the room I came across a cut out buffalo that I couldn’t resist to have a photo-op with. It was the perfect prop for the evening’s nature filled theme. I took a moment to people watch as guests mingled around the scenic old world décor which included exposed brick walls, threadbare rugs and iron chandeliers. In addition to the inside room, there was also a beautiful outdoor terrace with a nature filled ambience. 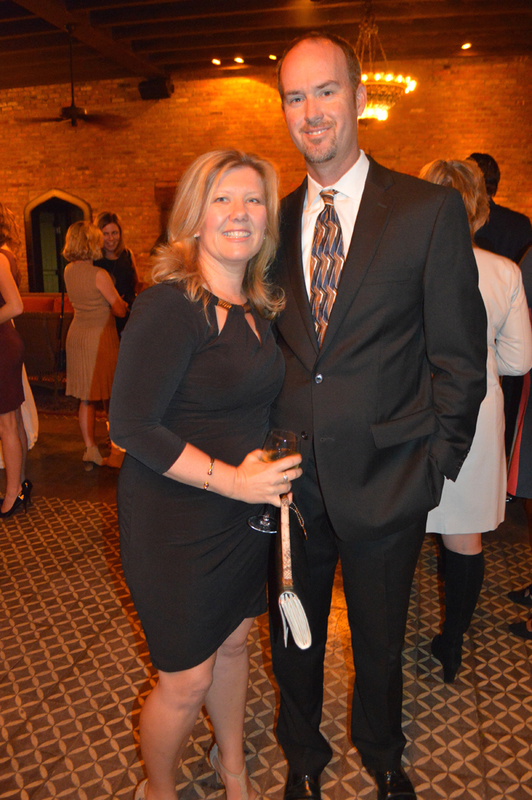 Lights of the city illuminated the space as guests mingled the night away. Arielle Patrick introduced her fellow Co-Chairs Alice Ryan and Jackie Rooney, and thanked guests for attending. Jackie serves on the board of the Yellow Stone Park foundation and took the stage to say a few words about her involvement. She mentioned how the Yellowstone Park is celebrating their centennial in 2016 and encouraged guests to get involved in the great organization. 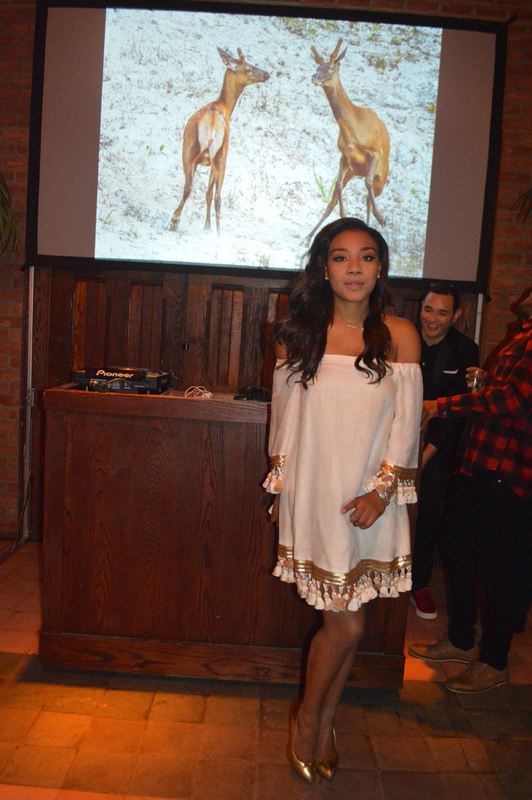 In closing, Jackie encouraged guests to attend the fabulous after party at NYC hot spot PHD. 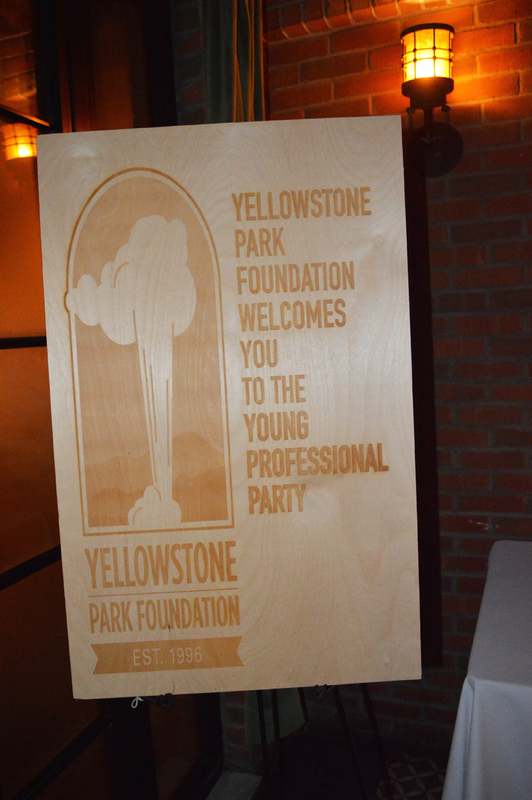 Thank you so much Arielle Patrick and the Yellowstone Park Foundation committee for including me in this memorable evening.